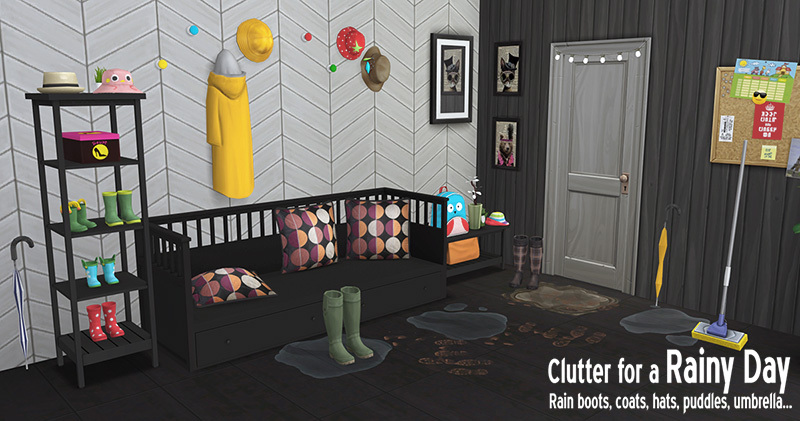 I needed more clutter for my mudrooms, and specifically more seasonal clutter . You think pumpkin or plastic spider? Nah! I meant like... puddles, muddy footprint, boots, rain coats.... So here you go! Various hats, coats and wellies for adults, children and toddlers. Meshes are based on Sims 4 clothes & shoes. Ces objets sont basés sur des vêtements et chaussures des Sims 4.